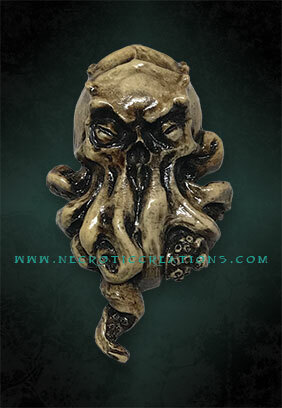 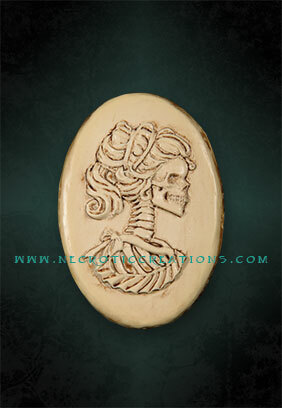 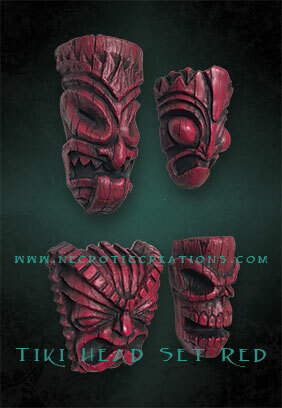 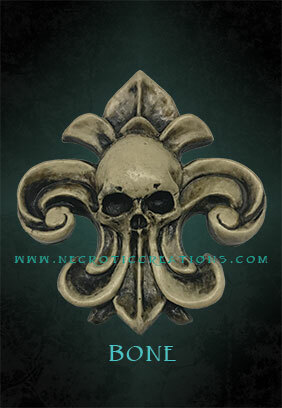 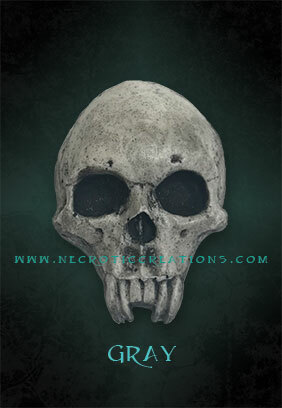 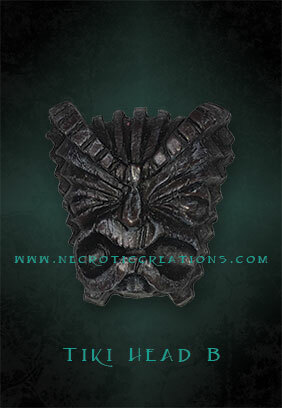 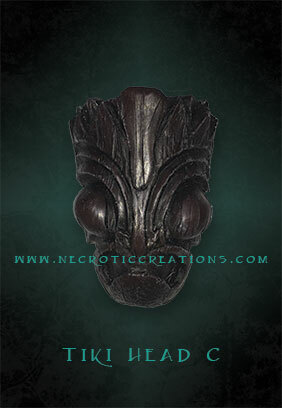 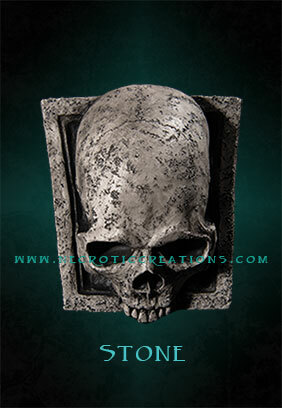 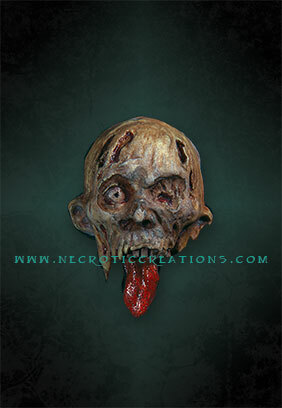 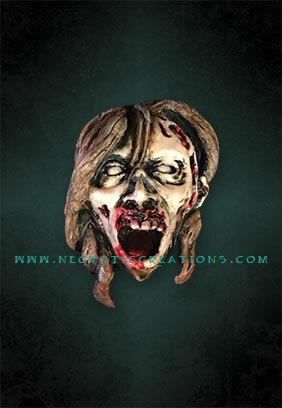 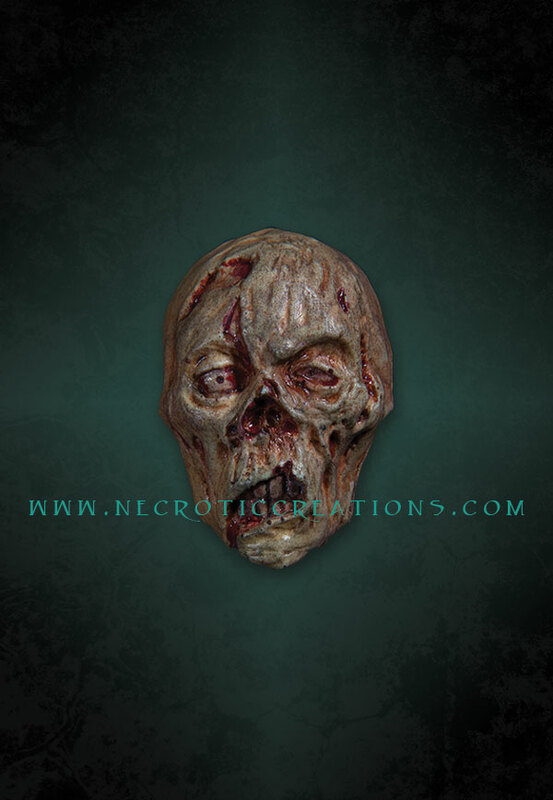 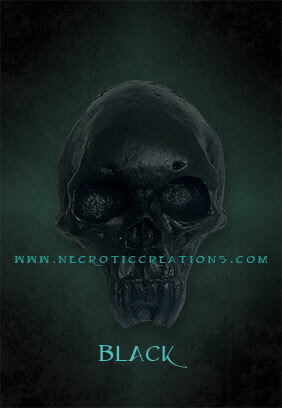 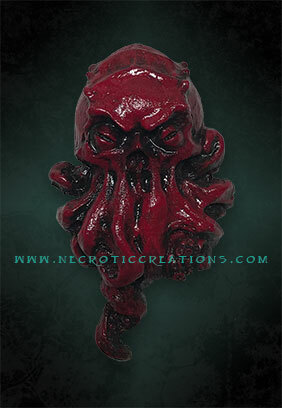 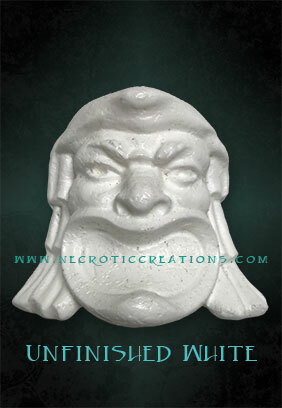 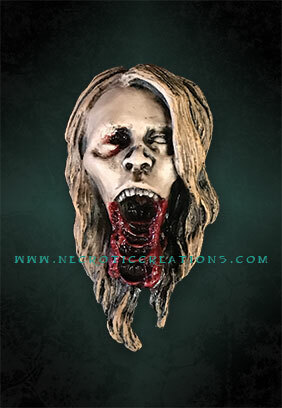 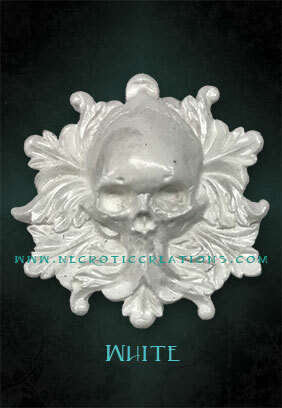 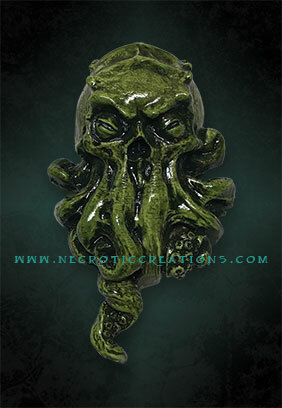 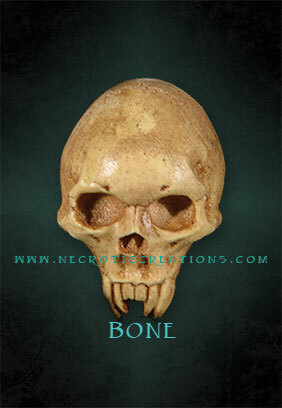 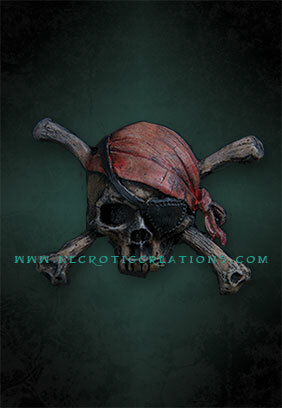 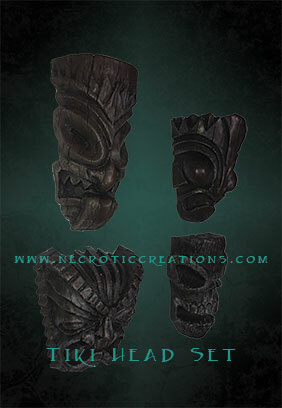 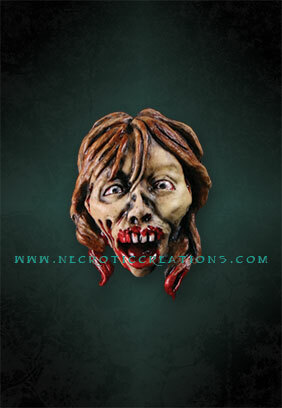 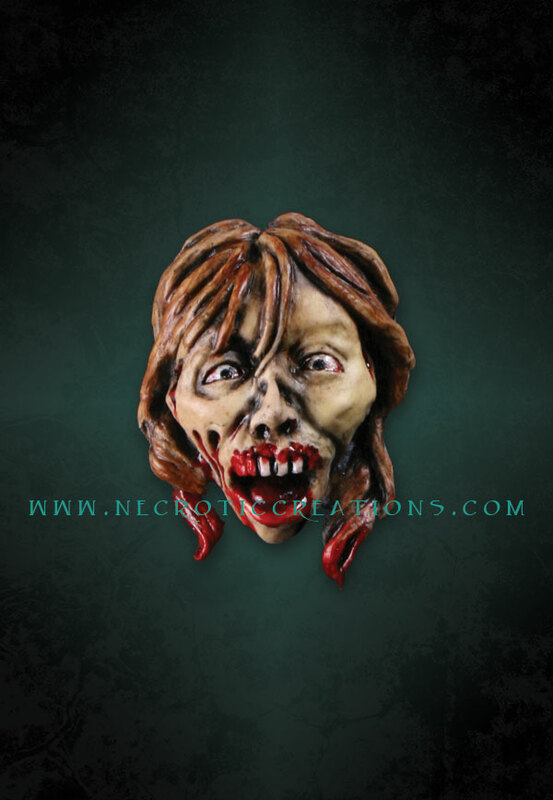 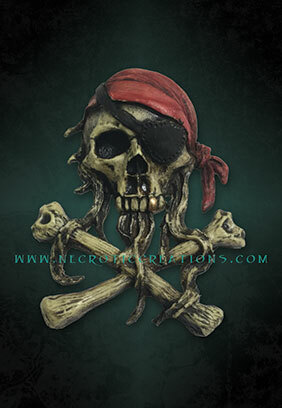 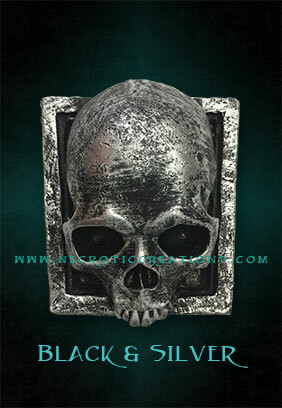 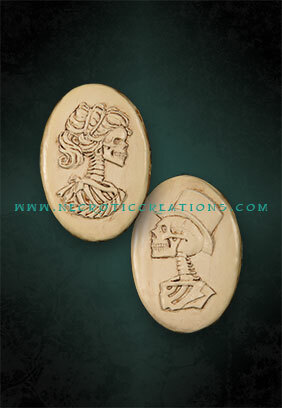 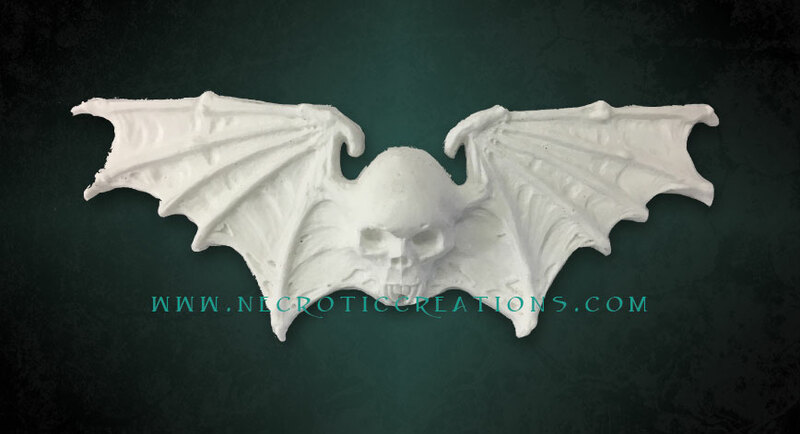 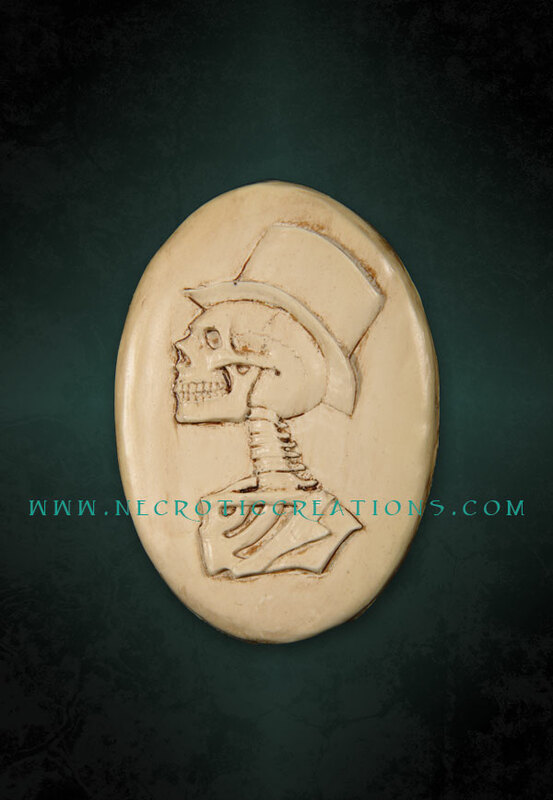 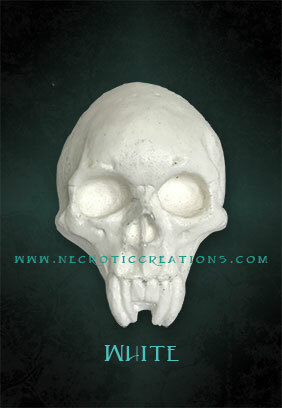 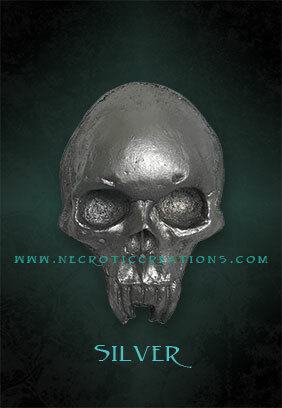 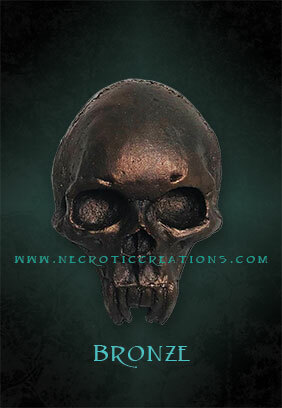 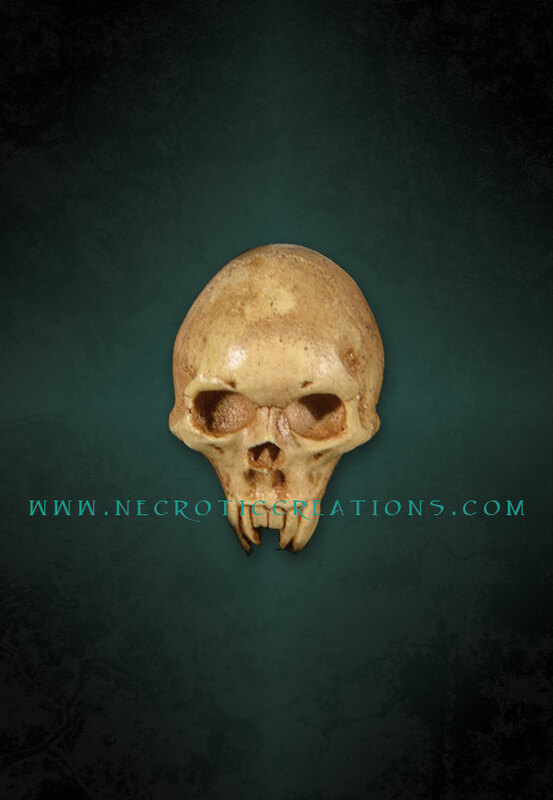 Highly detailed original sculpts, cast in high quality solid resin. 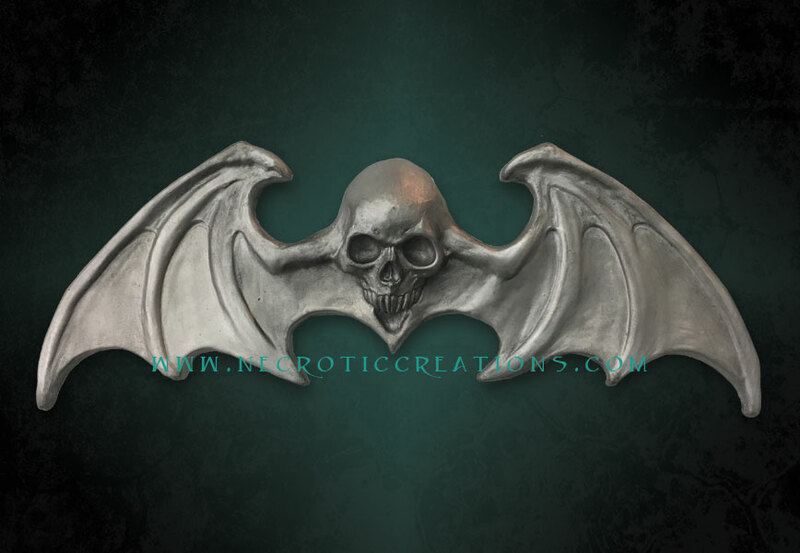 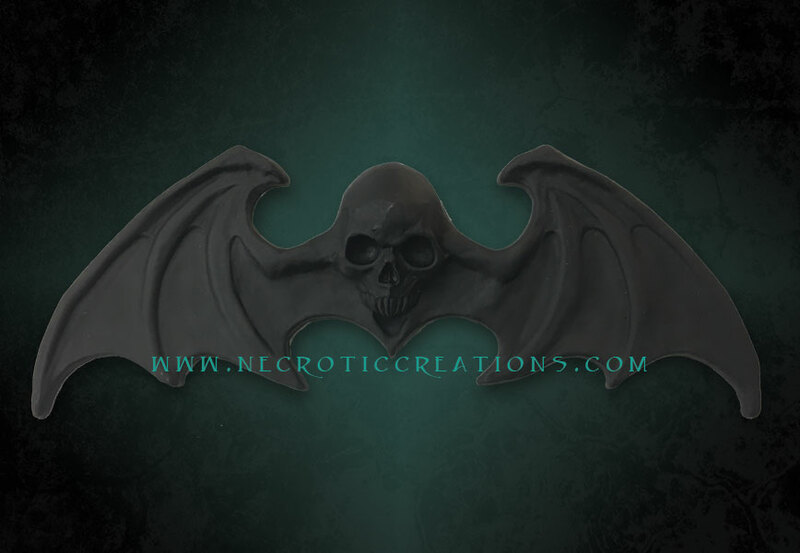 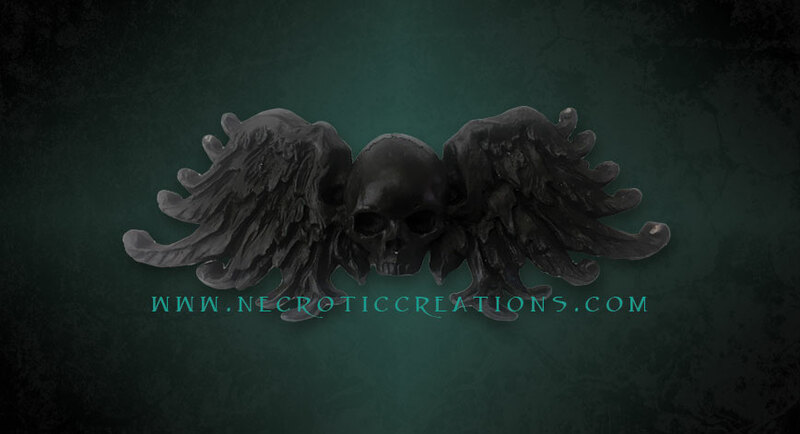 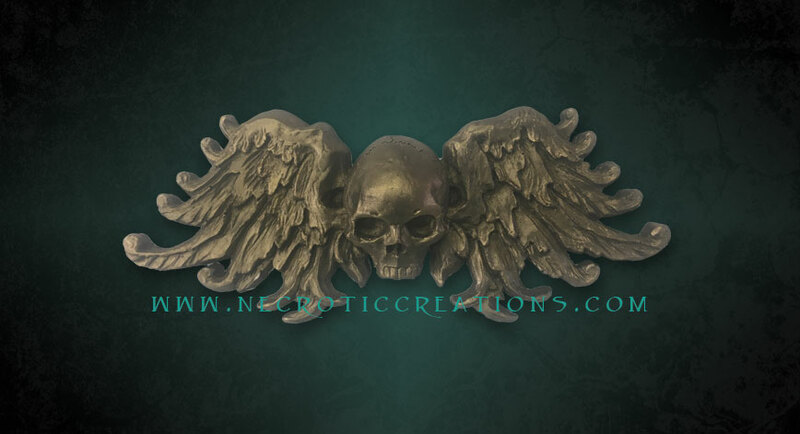 Designed to be applied to coffins, tombstones, furniture, doors, pillars; basically anywhere an extra touch of gothic style is needed. 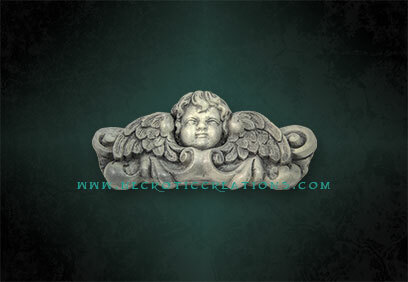 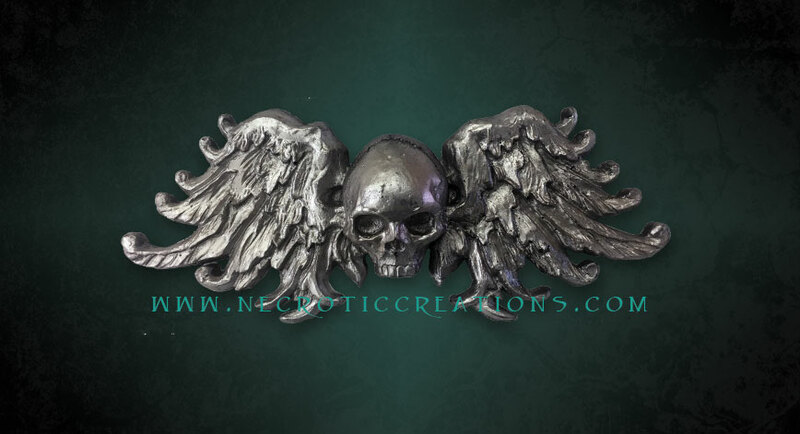 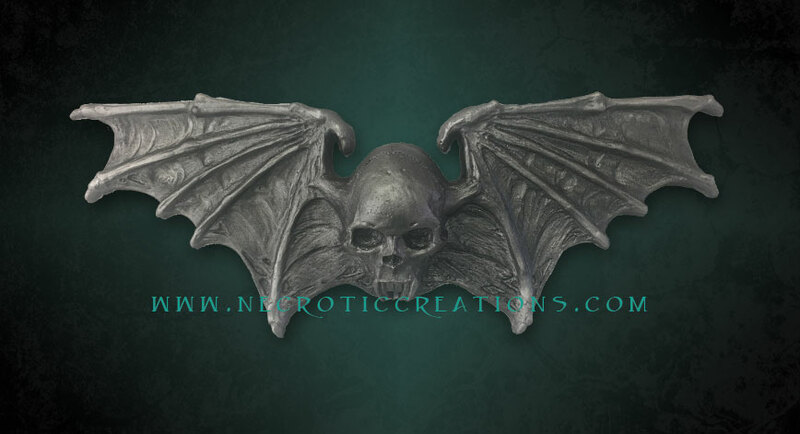 Gothic cherubs have been seen throughout history in different places all over the globe. 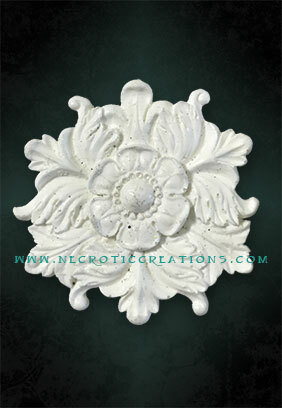 This authentic replica of an old architectural embellishment is offered in one of two ways, the first being a downward looking original. 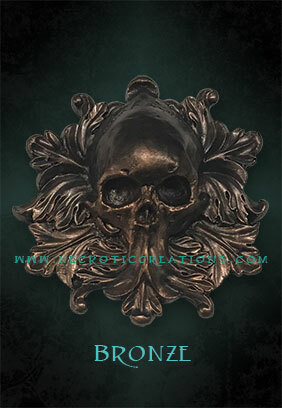 The second being a slightly tilted back, looking forward. 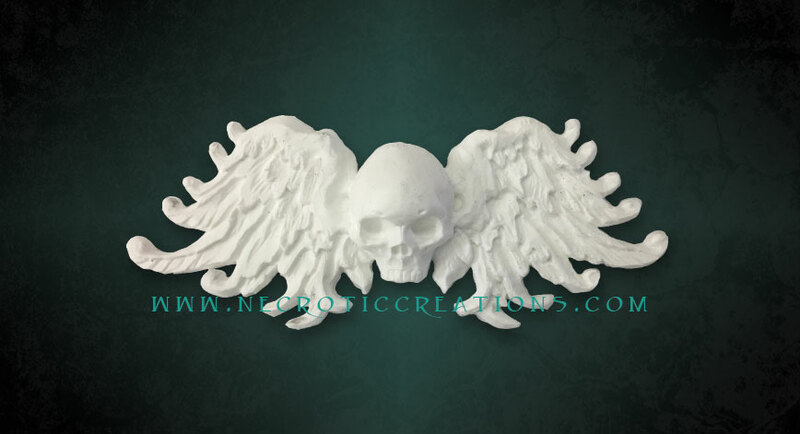 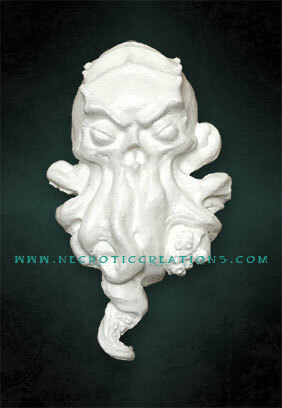 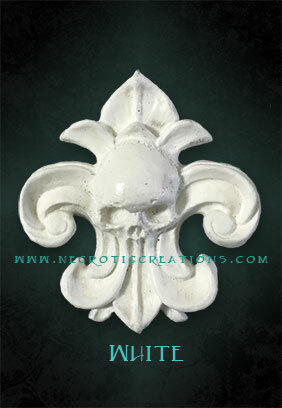 Each are cast in durable and ridged expanding foam. 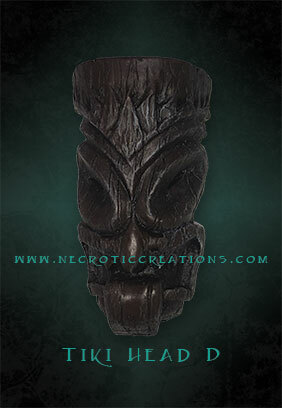 Both options provide for a lightweight product. 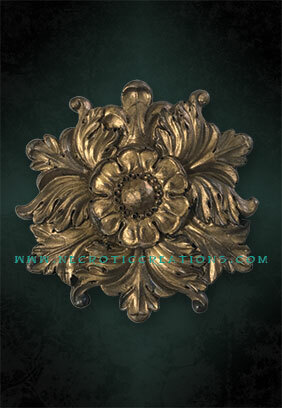 All of the detail can be accented by a stone finish or bronze verdigris as an option. Because of its light weight, this architectural element is perfect to hang over your door as your own personal Guardian Angel. 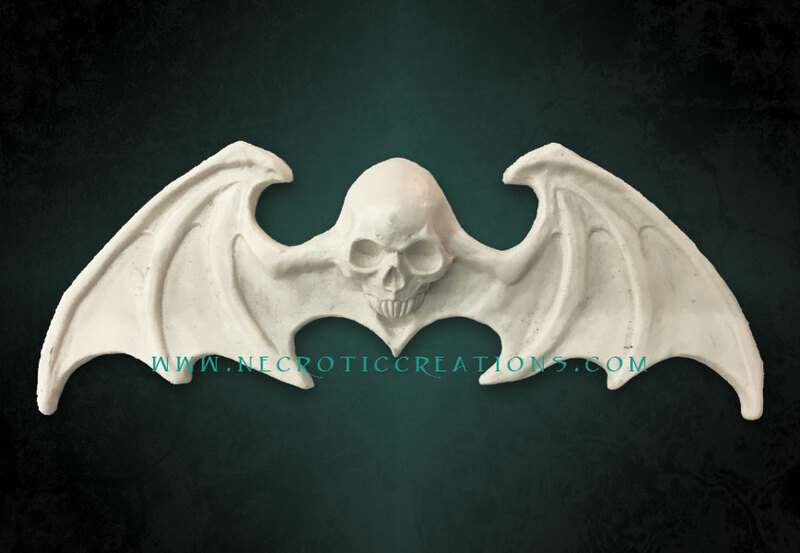 It can be mounted to furniture or used to customize a tombstone for your Halloween decor. Patterned after our popular Gothic Wall Plaque Cameos, these solid cast resin plaques were designed as an architectural element or to customize your tombstones. 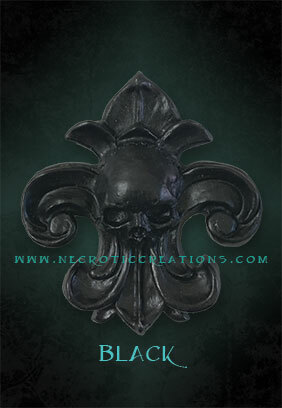 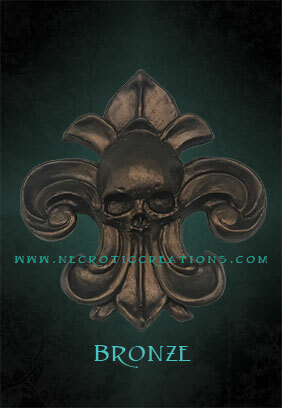 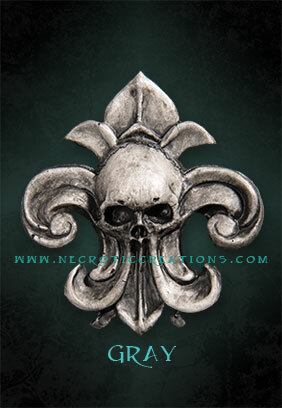 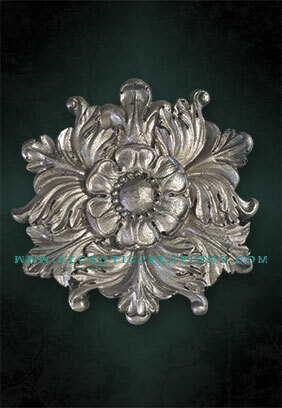 Available in an antiqued finish or unfinished. 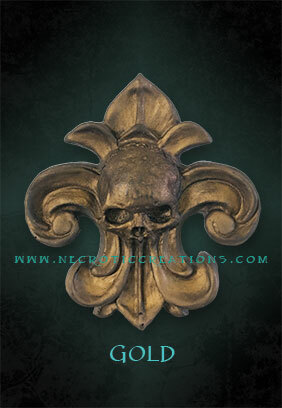 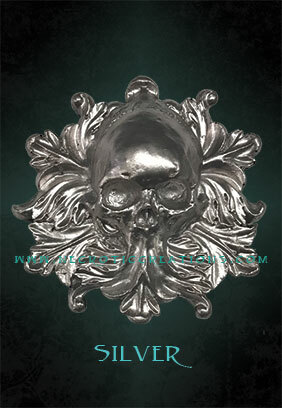 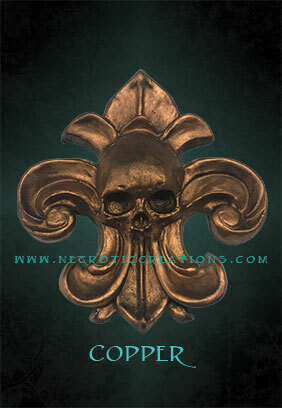 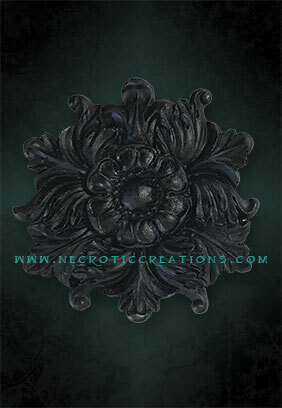 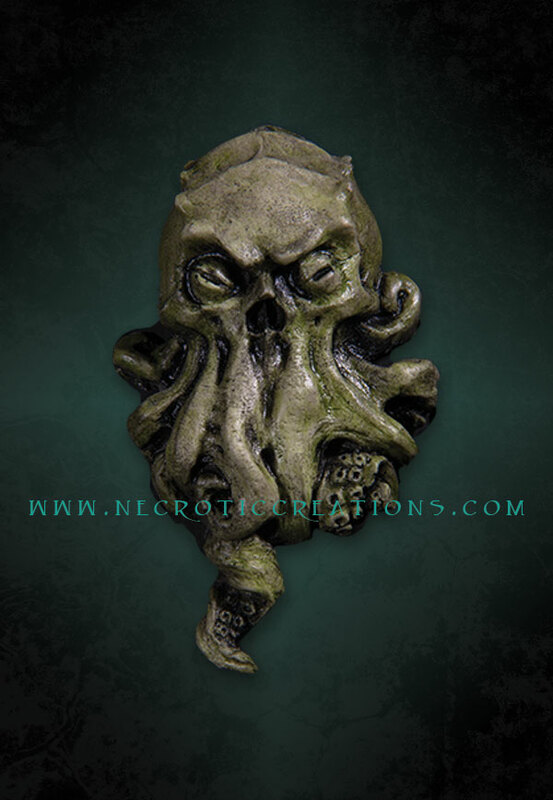 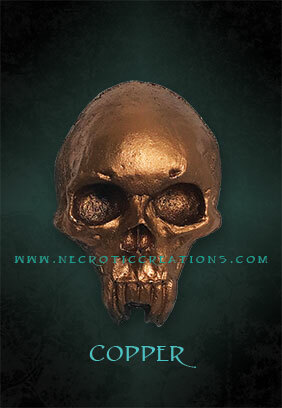 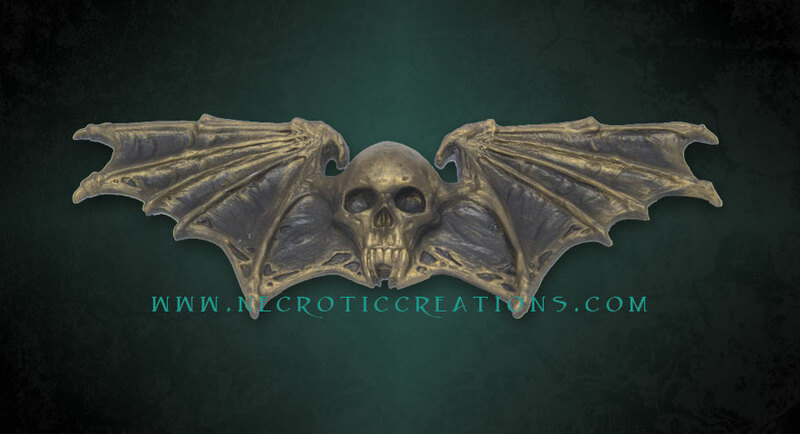 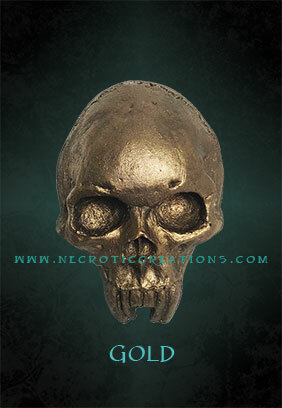 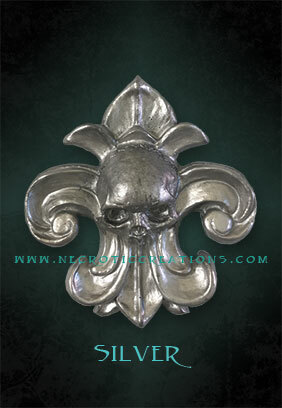 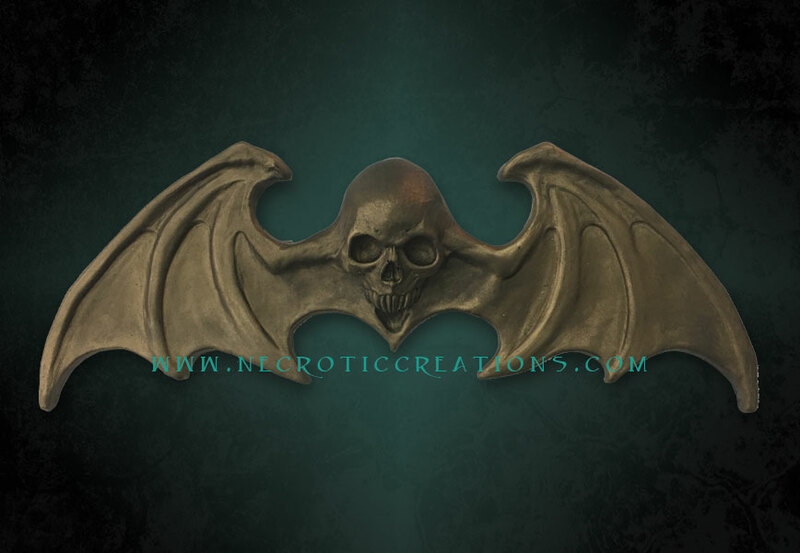 This unique piece, cast for an original brass antique sculpture can be used for anything you wish. 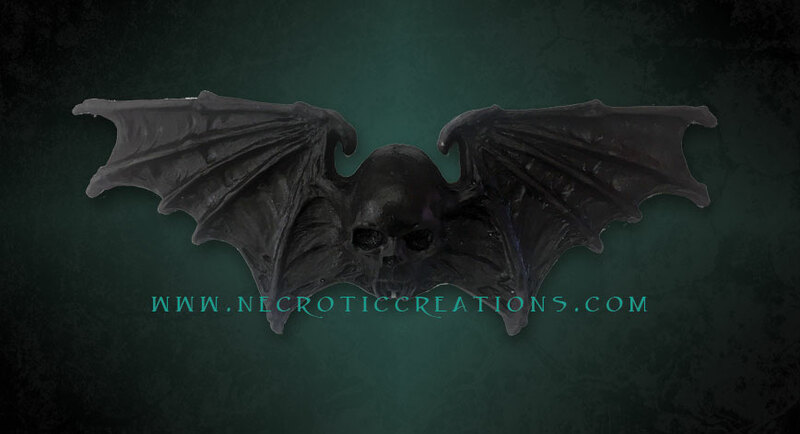 From a gothic lamp leg to casket details. 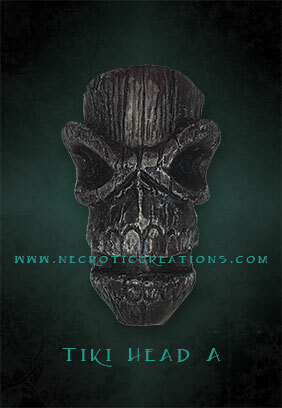 This unit is sure to add the creep to something creepy. 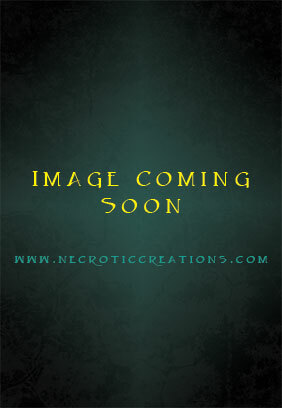 Check here often, as it will be here before you know it!